Let’s talk about the world of MSPOTs! What is an MSPOT, who needs one, why would you need one, and who creates it? 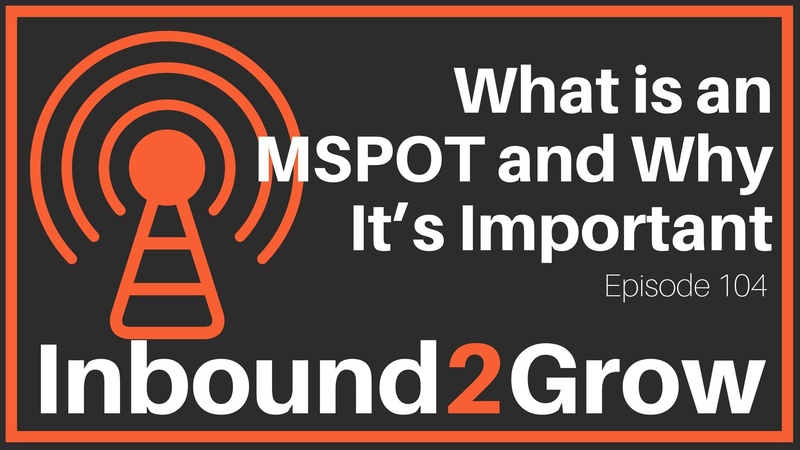 In this episode, Dan and Todd break down the ins and the outs of MSPOTs and challenge you to start creating your own organizational MSPOT. [1:06] Question: Why is an MSPOT so important? An MSPOT puts your missions and strategies and goals on one page and makes them easy to consume. Any company, especially those with 3 employees or more, can benefit from an MSPOT because it gives every employee the information they need to work toward the goals of the company. Just the act of creating an MSPOT can be a powerful and impactful experience. Even for an entrepreneur who has no employees, going through the process of creating an MSPOT and focusing on articulating your priorities is valuable. MSPOTs begin with a companies leadership defining the overall goals of the entire business. For larger operations, managers or even individuals often create their own MSPOTs that fit within the larger company goals. Every level of the organization should have an MSPOT. [8:43] What Does MSPOT Stand For? M is for mission, the statement that defines your organization. Your mission will set your direction and make sure everyone is working toward the same overarching goal. S is for strategies. Strategies are the outline of how you will deliver on your mission. P is for plays or projects. This is where you define the handful of initiatives that will support the overall mission and strategies. This could encompass products or marketing initiatives, things of that nature. O is for omissions. Omissions are strategies, plans, projects, or plays that are not a priority for the company. This is where you really focus and decide where you aren’t going to be spending your energy. T is for targets. Your targets should be the metrics that allow you to track toward your goals. Get an MSPOT. Simple and sweet, an MSPOT will change the way your company sets, tracks, and meets goals. MSPOTs reduce uncertainty, deliver clarity, and drive alignment for everyone in the organization.